The Michigan Planner serves as medium for the exchange of ideas and information for the planning community in the state of Michigan. 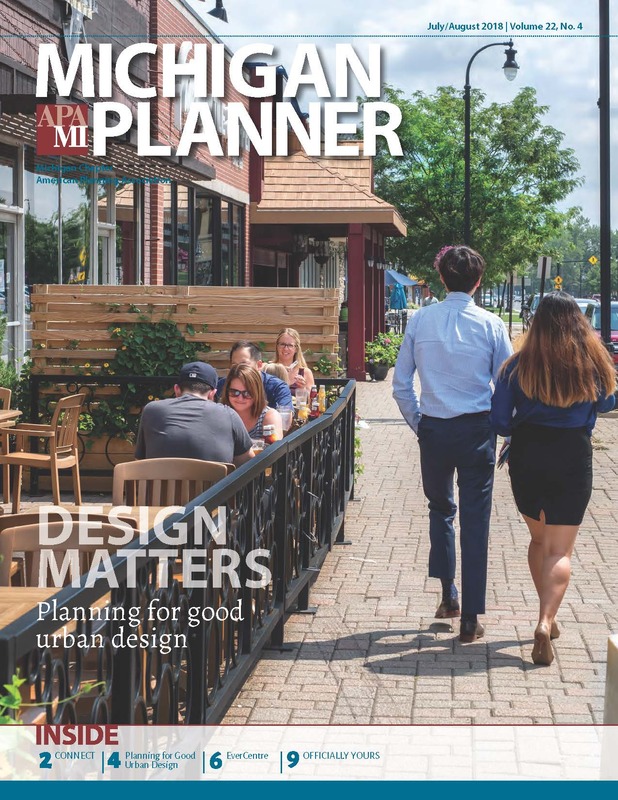 The Michigan Planner is published and distributed 6 times a year by the Michigan Association of Planning. Alternating monthly with the magazine, the Michigan Planner E-dition is published via e-mail to keep our members updated with the most current links and resources. Subscription to the Michigan Planner and the Michigan Planner E-dition is available only as a membership benefit. The Michigan Planner is currently circulated to the Association’s 4,000 members. Click here to join today! We welcome essays, articles, photos, calendar items, etc. Do not hesitate to send anything you think of interest. We may edit due to space limitations. Please send in electronic format only to [email protected]nningmi.org. Submissions for the Michigan Planner and E-dition are accepted throughout the year. Calling cards, a directory of firms offering professional services, appears in every issue of the Michigan Planner. Firms listed pay a fee for this service which helps defray the cost of publication. This does not constitute an endorsement of any firm by the Michigan Association of Planning. To include a calling card in the Michigan Planner, contact Amy Vansen. For copies of back issues of the Michigan Planner, follow this link. If you don't see the issue you are looking for, contact Amy Vansen. All APA member addresses are maintained at the national office and mailed to the local chapters each month. If you have moved, update your profile online at www.planning.org. Michigan Association of Planning maintains addresses for local members only. Please forward corrections to Sherrie Howard, Director of Operations.